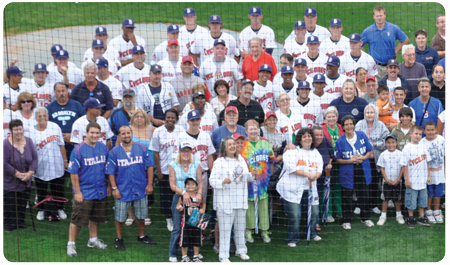 Earlier this season, Season Ticket Holders were invited onto the field to take a "Team Photo" with the Cyclones. 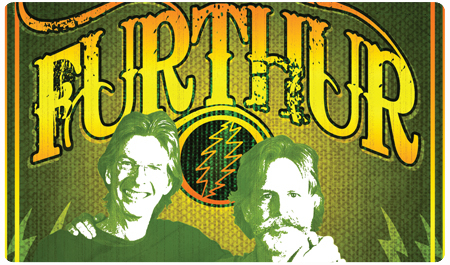 Fans can now download a PDF of the picture, and print it at home. For best results, use 8 1/2" x 11" photo paper. Thank you to all who attended the Season Ticket Holder Team Photo! 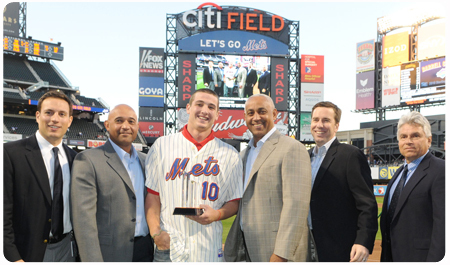 On Wednesday, September 15th, the New York Mets' top minor leaguers were invited to Citi Field to participate in batting practice, before being honored in a pre-game on-field ceremony. 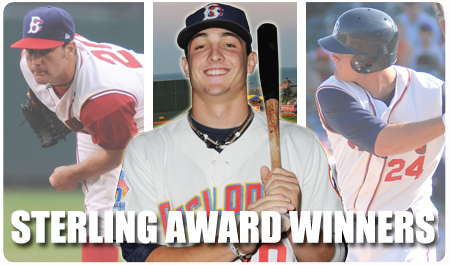 The Sterling Awards are emblematic of the MVP at each of the Mets' minor league affiliate clubs, as well as the overall organizational Player and Pitcher of the Year. 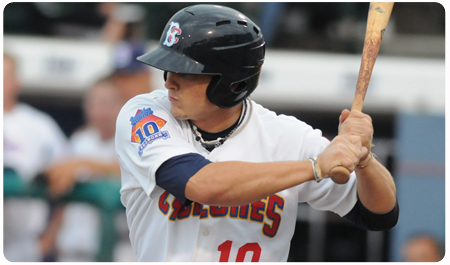 Center fielder Darrell Ceciliani won the Sterling Award for Brooklyn, thanks to his record-setting 2010 campaign. 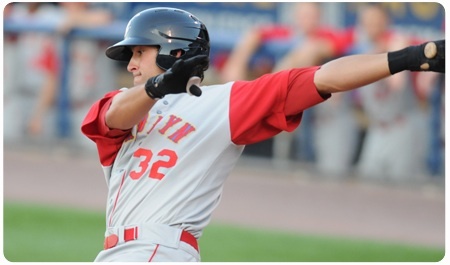 Ceciliani's .351 average was the the highest single-season mark in franchise history, and he became the first Cyclones player ever to win the New York-Penn League batting title. 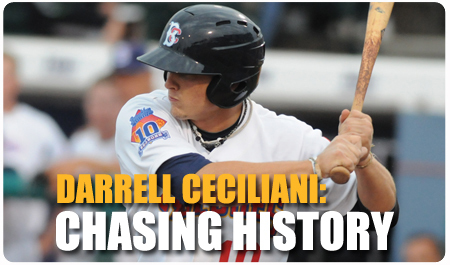 Ceciliani set a variety of offensive records this year, in addition to his .351 batting average, also establishing new franchise highs with 95 hits, 56 runs, and 12 triples. Several familiar faces to Brooklyn fans fill out the remainder of the Sterling Award roster, with Cyclones alumni -- Dillon Gee (2007), Kirk Neiuwenhuis (2008), and Wilmer Flores (2008) -- winning the award at three of the four levels above Brooklyn, as well as two former Cyclones -- Lucas Duda (2007) and Mark Cohoon (2009) -- taking home the Player and Pitcher of the Year honors, repectively. Nieuwenhuis and Cohoon previously won Sterling Awards for their performances in Brooklyn. Duda split time during the 2010 campaign between Binghamton (AA) and Buffalo (AAA). In 114 games between the two stops, he hit .304 (129-424) with 74 runs scored, 40 doubles, 23 home runs and 87 RBI. After being promoted to Buffalo in mid-June he hit .314 (83-264) with 44 runs scored, 23 doubles, two triples, 17 home runs and 53 RBI in 70 games. The lefthanded-hitting Duda tied a Buffalo franchise record with a home run in five consecutive games from June 28th to July 2nd. In 2007, Duda made his professional debut with Brooklyn, and was a standout hitter for the '07 McNamara Division championship team, splitting time between first base and left field. He hit .299 (70-for-234) that year, with 32 runs, 20 doubles, three triples, four home runs, 32 RBI, and three stolen bases. Duda also hit a mammoth home run in Game One of the NYPL Semi-Finals to help Brooklyn beat Staten Island, who they would go on to sweep before losing in the Championship Series. Duda's 17-game hitting streak in 2007 still stands as the longest in franchise history. 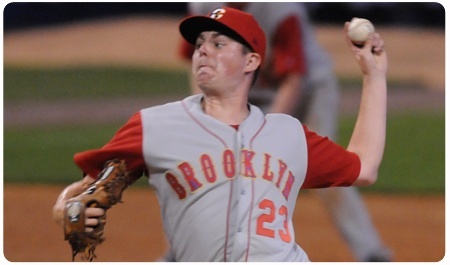 Cohoon split time during the 2010 campaign between Savannah (A) and Binghamton (AA). In 26 games (all starts) games between the two stops, he went 12-5 with a 2.57 ERA. Cohoon started the year at Savannah, and went 7-1 with a 1.30 ERA in 13 starts. In 90.1 innings for the Sand Gnats, he allowed 68 hits, 15 runs -- 13 earned -- and 17 walks, while striking out 75. After being promoted to Binghamton in late June, he went 5-4 with a 4.18 ERA. 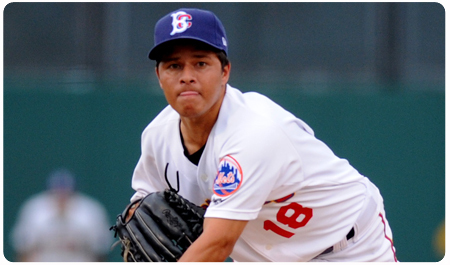 In 71.0 innings for the B-Mets, he allowed 74 hits, 41 runs -- 33 earned -- and 15 walks, while striking out 56. 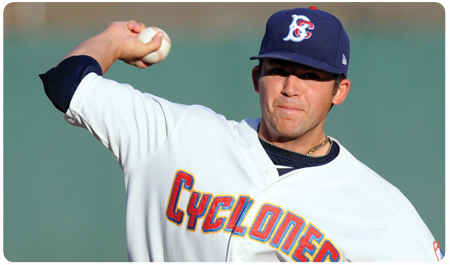 In 2009, pitching for the Cyclones, Cohoon led the New York-Penn League with nine wins (9-2), and ranked sixth with a 2.15 ERA. In a league-high 92.0 IP, he allowed 69 hits, 26 runs, 22 earned, and 20 walks, with 70 strikeouts. Opponents hit .210 against Cohoon, and he surrendered just 18 extra-base hits, while facing 356 batters. 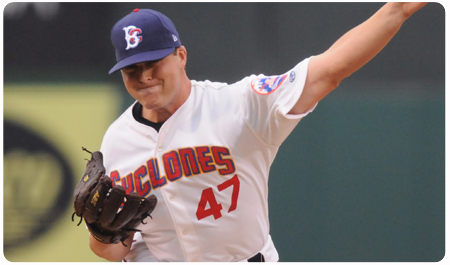 Mark’s nine wins tied a Cyclones’ franchise record, and his 92.0 innings established a new club record. Cohoon pitched six or more innings in 12 of his 14 starts, and allowed two earned runs or less 10 times. He struck out a season-high nine batters on 8/15 vs. ONT. On Friday, Cyclones hurlers surrendered four runs on seven hits while striking out seven Valley Cats. Starting pitcher Angel Cuan, limited to four innings of work in preparation for the Playoffs, allowed no runs on three hits while striking out three. Hamilton Bennett and his infamous mustache took the mound in the fifth inning, surrendering two runs on three hits over two innings of work. Adam Kolarek came on in the seventh inning to pitch two scoreless frames before allowing a two-run home run that pulled Tri-City to within one run. Johan Figuereo ended the Valley Cats rally, though, getting two outs to earn his eighth save of the year. Brooklyn bats victimized Tri-City’s pitching, scoring five runs on 10 hits with four players registering multi-hit games. 3B James Schroeder hit his first home run of the season -- a two-run bomb to left field in the fourth inning -- in a 1-for-2 effort. Cyclone newcomer ZeErika McQueen registered his first hit and first multi-hit game in a Brooklyn uniform, going 2-for-3 with one RBI and one stolen base. C Juan Centeno continued his hot hitting at home going 2-for-3 with two runs, and one RBI, including his third double in two days, bringing his average up to an impressive .372. CF Cory Vaughn and SS Wilfredo Tovar were the third and fourth Cyclones to have multi-hit games going 2-for-3 and 2-for-4 respectively, with Vaughn notching his 43rd run of the season. RF Will Cherry rounded out the offense with a 1-for-4 effort, including one RBI. 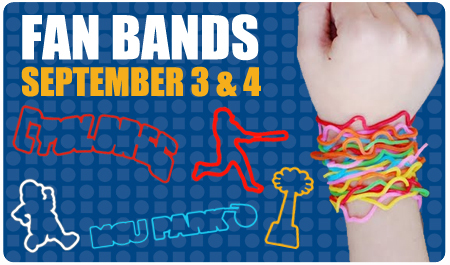 The Cyclones take on the Valley Cats again on Saturday, and the first 2,500 fans in attendance will receive a set of Brooklyn Cyclones Fan Bands. Fans are also invited to stay after the game for a spectacular fireworks show from inside the ballpark! 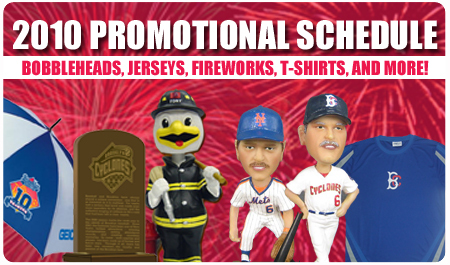 There's something for everyone at every Cyclones game -- free t-shirts, free jerseys, bobbleheads, fireworks, free food, and more! 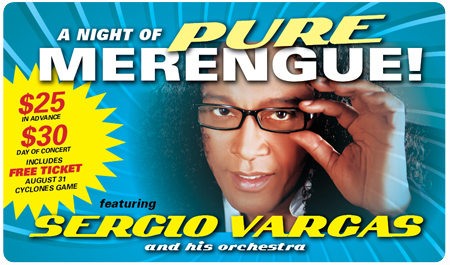 Check out the entire promotional schedule and get your tickets now! 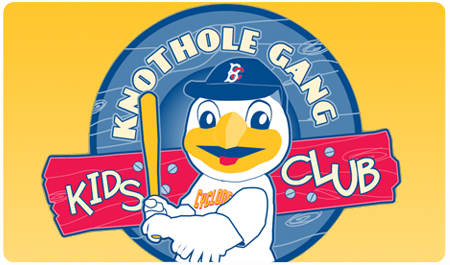 The Brooklyn Cyclones won two games on Tuesday, finishing a suspended game to win by a score of 8-7, before winning a thrilling second game with a walk-off home run. In the first game, the Cyclones resumed a 12-inning game in which play had been suspended on August 21st in Vermont due to rain. 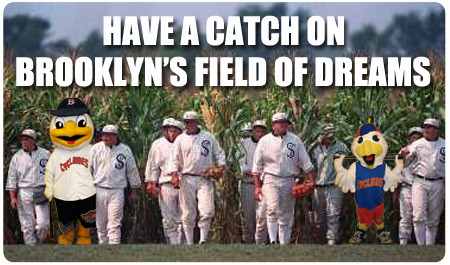 Brooklyn had an 8-7 lead, and Vermont had runners on first and second, and one out. Ryan Fraser got two quick outs -- a strikeout and a fly ball -- to put the game in the books and seal the long-awaited victory. In the second game of the day, a seven-inning contest, 1B Jeff Flagg led the Cyclones to a 6-4 walk-off victory with five RBI on the day, including a monster three-run home run to win the game. The Cyclones trailed in the bottom of the seventh inning by the score of 4-3, but 2B J.B. Brown worked a one-out walk, and CF Cory Vaughn reached on a broken-bat fielder's choice before Flagg stepped to the plate and delivered the big blow. Tuesday night was the third time this season Brooklyn has hit a walk-off home run to win the game. The Cyclones tallied eight hits against Vermont --- three for extra-bases. Brown went 1-for-2 with two runs scored. 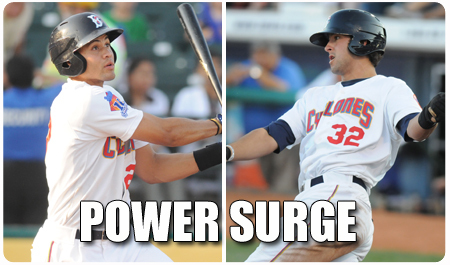 C Juan Centeno had two hits and is now hitting .600 (15-for-25) at MCU Park this season. 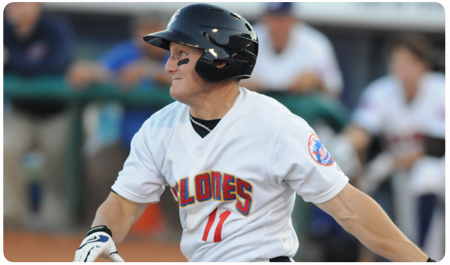 Flagg finished the game with two hits and five RBI --- the most RBI by a Cyclone since 3B Brian Harrison had six on July 15th against Mahoning Valley. Flagg and Vaughn are also now tied for the most RBI by a Brooklyn player in a single season, with 50 RBI each. The previous record was 46. RHP A.J. Pinera went five innings, yielding three earned runs while striking out six batters. Pinera entered the game with the third best ERA in the league (2.10), and has yet to allow four earned runs in a start. Southpaw Adam Kolarek relieved Pinera and shut down Vermont over two hitless innings. Kolarek earned the win and now owns a 1.28 ERA at home this season. 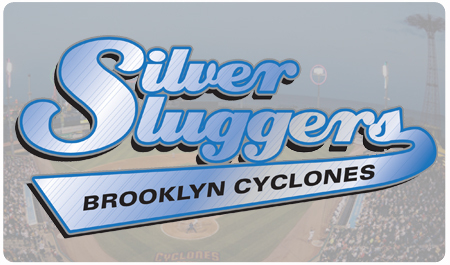 The Brooklyn Cyclones won the rubber game of a three-game series against the Connecticut Tigers by a score of 6-1 on Monday night bringing their overall record to 45-22. 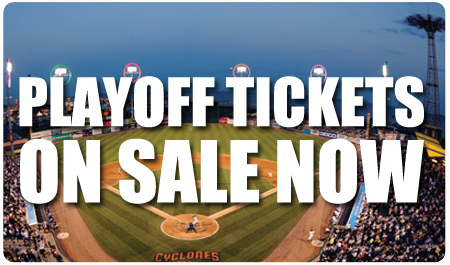 The Cyclones will finish off the year with a seven-game homestand against Vermont and Tri-City before advancing to the the NYPL playoffs. Brooklyn pitchers held the Tigers to just one run on nine hits while striking out six. Starting pitcher Jonathan Kountis (1-0) found his rhythm early, striking out the side in the first inning and throwing five strong frames, surrendering one run on six hits while striking out five to earn his first win of the season. Since returning to Brooklyn from Kingsport Kountis is 1-0 with a 2.67 ERA, registering 14 strikeouts in 10.1 innings of work. LHP Nelson Pereira came on in the sixth inning to toss two scorless innings with one strikeout, allowing just two hits. RHP Johan Figuereo closed out the game throwing a scoreless eighth and ninth inning, surrendering one hit. 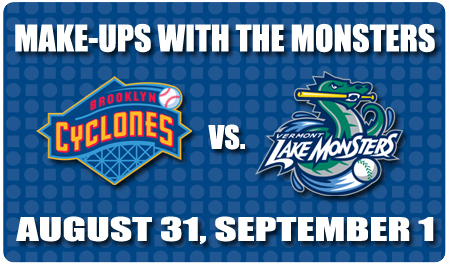 The Cyclones return to MCU Park on Tuesday, August 31st to take on the Vermont Lake Monsters. Brooklyn and Vermont will complete a suspended game, starting at 6:30pm. 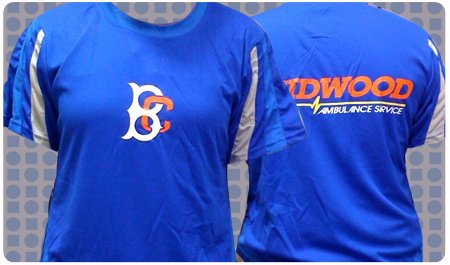 That day will be the last t-shirt Tuesday of the season, with the first 2,500 fans in attendance will receive a "BC Logo" t-shirt, presented by Kristal Auto Mall. 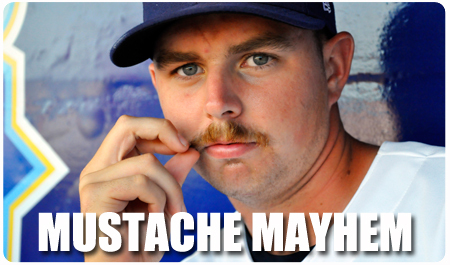 Tuesday is also Mustache Mayhem Night, and the first 1,000 fans will receive stick-on mustaches! 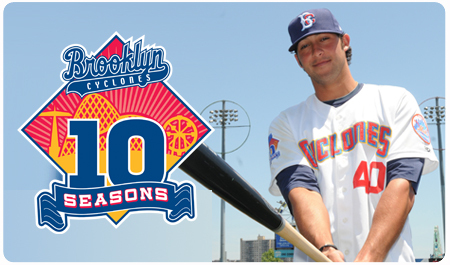 The Brooklyn Cyclones (44-21) clinched the 2010 McNamara Division title with a dominating 10-0 win over the Connecticut Tigers (33-34) on Saturday and a loss by Hudson Valley. The division title is Brooklyn's fifth in 10 seasons, and the first since the 2007 campaign. Yohan Almonte (8-4) tossed a brilliant nine-inning, complete-game shutout on Saturday, allowing just six hits on the night, while striking out five Tigers without issuing a walk. The win is Almonte's eighth of the year, and lowers his ERA on the season to 2.00. 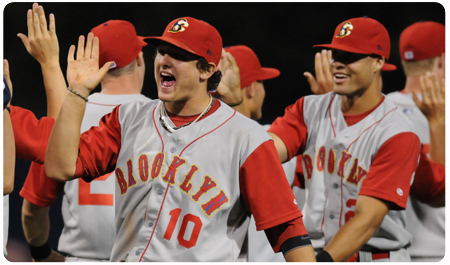 The Brooklyn bats unloaded for 10 runs on 15 hits, including home runs by Blake Forsythe and Jeff Flagg. 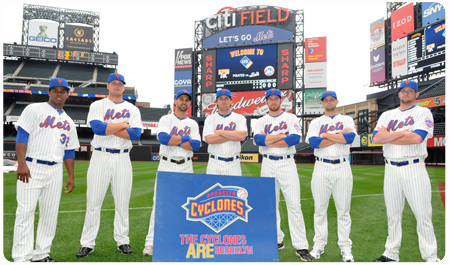 Six Cyclones notched multi-hit games -- Forsythe, Flagg, Darrell Ceciliani, Cory Vaughn, James Schroeder, and Justin Schafer. Schafer went 3-for-5 on the day, Ceciliani drove in three runs, and Vaughn tied a franchise single-season record with his 46th RBI. Flagg's home run gave him 45 RBI. Brooklyn now sets its sights on locking up home field advantage throughout the postseason, and possibly setting a new best single-season club record (52-24 is the all-time best mark, set by the 2001 team). 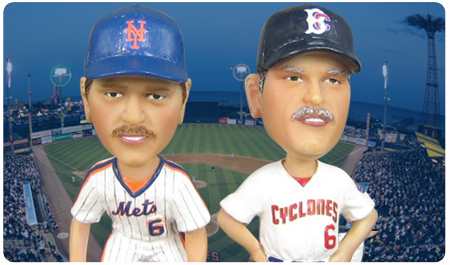 On Friday, August 27, the first 2,500 fans in attendance will receive a Ron Darling bobblehead, honoring the Met icon. Darling will also attend the game at MCU Park on August 27. Darling was a standout pitcher, playing for New York from 1983-1991. He was key member of the Mets' 1986 World Series championship team, going 15-6 that season, with a 2.81 ERA, and going 1-1, with a 1.53 ERA in three World Series games. Darling is currently a game and studio analyst for SNY, and won a 2006 Emmy for best Sports Analyst in New York. Proceeds from the August 27 game will benefit the Ron Darling Foundation, which raises awareness and funds in the fight against Juvenile Diabetes. 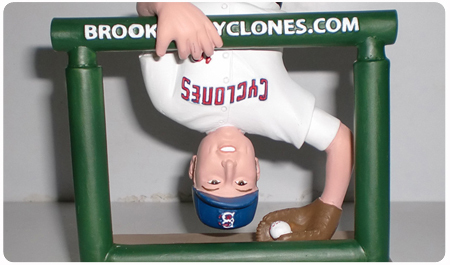 The high-demand collector's item stands 7" tall, and features the star pitcher in a blue and orange Brooklyn uniform. The game will also be followed by a spectacular Friday Night Fireworks show, and fans are invited to stay in their seats for an unforgettable view. The Ron Darling bobblehead, presented by MCU, will be given to the first 2,500 fans in attendance on Friday, August 27 . 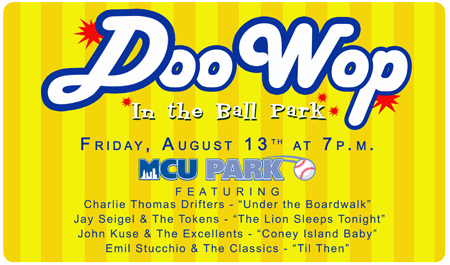 First pitch is scheduled for 7pm, with the MCU Park gates opening at 5:30pm. Brooklyn won its 40th game of the season on Friday night, handily beating the Vermont Lake Monsters by a score of 6-1. 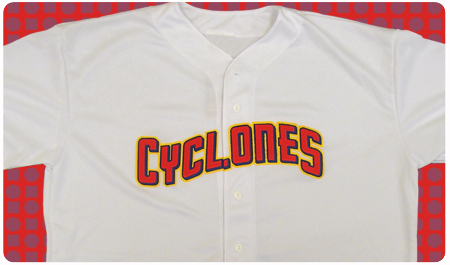 The win improves the Cyclones' league-best record to 40-20, extends their first-place lead over the Aberdeen IronBirds to 9.5 games in the McNamara Division, and lowers the team's "magic number" to seven. 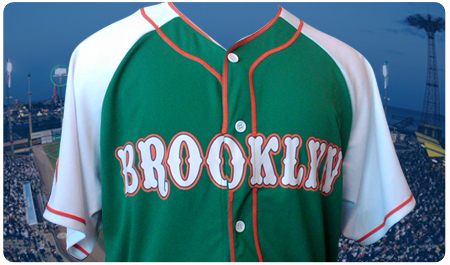 Brooklyn's hurlers held Vermont to just one run, allowing just five hits without issuing a walk, and striking out nine. Starting pitcher Chris Hilliard (8-1) earned his league-leading eighth win of the season, going five innings and surrendering one run while striking out six. LHP Nelson Pereira, in his 12th appearance of the season, shut down Aberdeen's offense in the final three innings, not allowing a single hit or run while striking out three, earning his first save of the season. Pereira has not allowed a hit in his last eight innings of work. The Cyclones' offense again provided Hilliard with impressive run support, scoring six runs on six hits (Brooklyn averages nine runs per game in each of Hilliard's wins). Recently added catcher Patrick Farrell went 1-for-4 on the night with one run, two RBI, and his first Cyclones home run in just his third appearance for Brooklyn. 2B J.B. Brown continued his hot hiting, registering the only multi-hit day going 2-for-4 with one run scored to bring his average up to .313. RF Will Cherry, DH Joe Bonfe, and SS Wlifredo Tovar added one hit and one run each to contribute to Brooklyn's third win in a row. The Cyclones return home on Tuesday, August 24th to take on the Hudson Valley Renegades in their first game back after a five-game road trip. 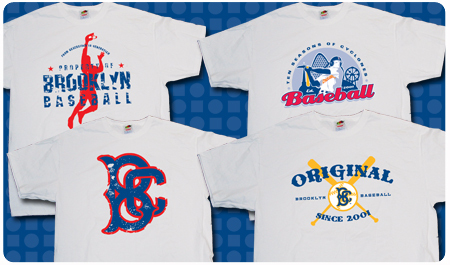 That night, the first 2,500 fans will receive a "Property Of" T-shirt presented by Men's Senior Baseball League. 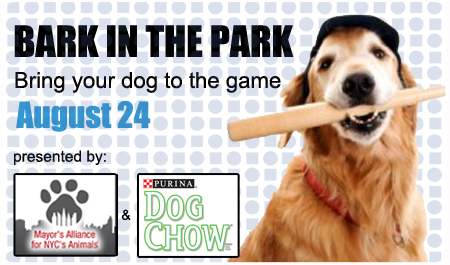 Tuesday is also Bark in the Park night presented by Mayor's Alliance for NYC's Animals and Purina Dog Chow. Tom Selleck. Keith Hernandez. 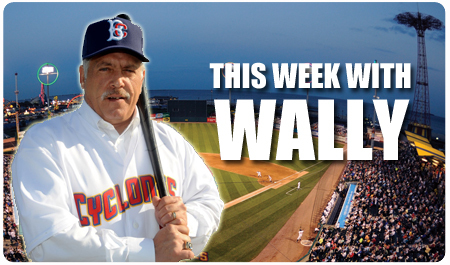 Wally Backman. Rollie Fingers. Ron Burgundy. Mario and Luigi. Hamilton Bennett? 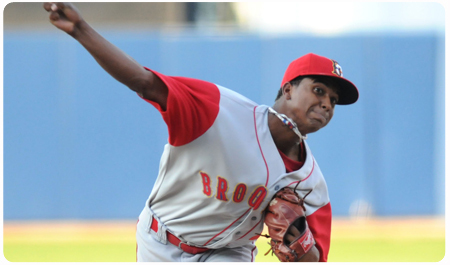 Brooklyn Cyclones pitcher Hamilton Bennett has become one of the team’s most popular players this summer. Bennett is the first player out of the clubhouse before each game, signs an endless stream of autographs, has caught over 100 ceremonial pre-game pitches, and has contributed steady work out of the Brooklyn bullpen. However, there is one thing that stands above all else as the contributing factor in Bennett’s popularity – The ‘Stache. Get your tickets (and start growing your mustache) NOW! The New York-Penn League National League All-Star Team will be Brooklyn-heavy this year, thanks to the Cyclones' league-leading 33 wins (entering play on Saturday), an offensive juggernaut of a lineup, and some of the top pitchers in the league. 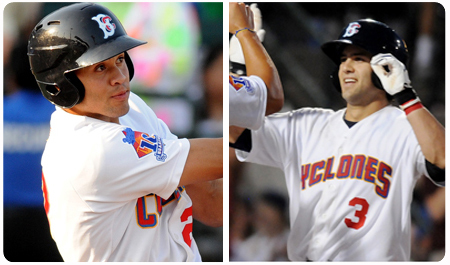 A total of eight Cyclones players have been named to the NYPL NL All-Star Team -- more than any other team in the league, and the most All-Star representatives in one year in franchise history. 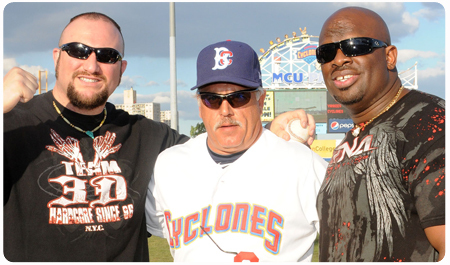 In addition, the Cyclones coaching staff -- manager Wally Backman, pitching coach Rick Tomlin, hitting coach Benny DiStefano, coach Joel Fuentes, and trainer Deb Iwanow -- will also represent the National League, giving Brooklyn 13 All-Star representatives. Brooklyn leads the league in team batting average (.296), runs (276), hits (479), total bases (761), doubles (101), home runs (43), and RBI (247). The Cyclones pitching staff ranks second in team ERA (3.16). 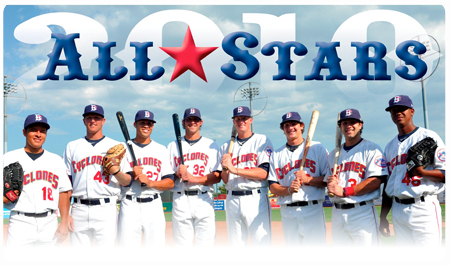 RHP Yohan Almonte, 3B Joe Bonfe, CF Darrell Ceciliani, LHP Angel Cuan, 1B Jeff Flagg, RHP Ryan Fraser, SS Rylan Sandoval, and RF Cory Vaughn are the Cyclones' 2010 All-Stars. Almonte is 5-3 with a 2.03 ERA, good for fifth-best in the league. In 57.2 innings, he has allowed 46 hits, 21 runs, 13 earned runs, and 11 walks, while striking out 37 batters. He has allowed one earned run or less in seven of his 10 starts, and has given up just one home run all year. Almonte ranks second in the league in innings pitched. Yohan -- a 21-year-old native of Sabana de la Mar, in the Dominican Republic -- was signed by the Mets as a non-drafted free agent in 2007. Bonfe ranks third in the NYPL with a .337 batting average (55-for-163). In 45 games, he has scored 22 runs, hit 10 doubles, two home runs, and has 19 RBI. Bonfe has also stolen seven bases. 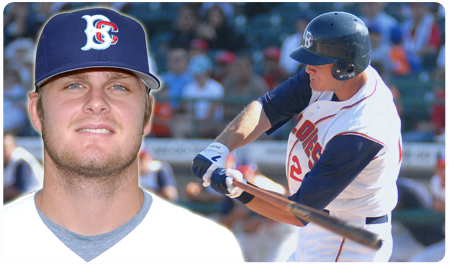 Joe -- a 22-year-old native of Woodbury, MN -- was the Mets 21st round pick in 2009, out of Sierre College (CA). Ceciliani has been perhaps the best all-around player in the NYPL this season, leading the league in average (.387), hits (74), runs (44), triples (10), and total bases (111). He ranks second in extra-base hits (25) and slugging percentage (.581) , and fourth in on-base percentage (.438), and stolen bases (16). 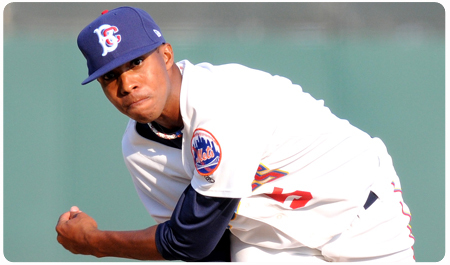 Darrell -- a 20-year-old native of Madras, OR -- is the youngest player on the Cyclones, and was selected by the Mets in the fourth round of the 2009 June First-Year Player Draft, out of Columbia Basin CC (OR). Cuan is undefeated on the year, going 5-0 with a 1.66 ERA in nine starts. In 59.2 innings, he has allowed 49 hits, 16 runs, 11 earned, and 10 walks, while striking out 48 batters. He has thrown the most innings in the league, and allowed just one home run all season. Cuan has pitched 5.0 innings or more and allowed two earned runs or less in each of his starts this year. 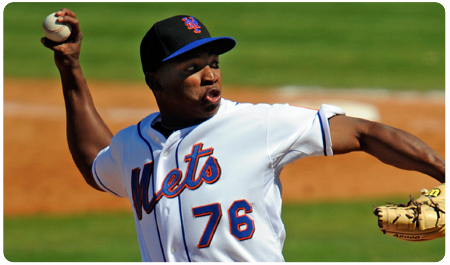 Angel -- a 21-year-old native of David, Chirqui in Panama -- was signed by the Mets as a non-drafted free agent in 2007. Flagg ranks third in the league with 34 RBI, third in extra-base hits (23), and fifth in total bases (88). He is batting .287 (50-for-174) in 47 games, with 13 doubles, five triples, five home runs, and six stolen bases. Jeff -- a 25-year-old native of Jacksonville, FL -- was selected by the Mets in the 27th round of the 2008 June First-Year Player Draft, out of Mississippi State University (MS). Fraser is tied for fourth in the league with seven saves. He has an 0.43 ERA in 16 games, all in relief. In 21.0 innings, Fraser has allowed just eight hits and two runs (one earned), while striking out 28 batters. Opponents are hitting .119 against him, lowest in the league. Ryan-- a 21-year-old native of Cleveland, TN -- was selected by the Mets in the 16th round of the 2010 June First-Year Player Draft, out of the University of Memphis (TN). Sandoval ranks third in the league in home runs (9), hits (58), and total bases (97). He ranks fourth in slugging percentage (.551), and runs scored (34), fifth in extra-base hits (21), and seventh with a .330 average (58-for-176). Sandoval -- a 22-year-old native of Castroville, CA -- was signed as a non-drafted free agent in February of 2010, after working out for Wally Backman at a showcase in Yuma, Arizona. Vaughn leads the league in home runs (12) and RBI (43) and is on pace to shatter Brooklyn's single-season franchise highs in those categories (13 and 46, respectively). Vaughn also leads the league in slugging percentage (.574), ranks second in total bases (101), and third in runs scored (35). Vaughn is batting .313 (56-for-179) with seven doubles, three triples, and nine stolen bases. Cory -- a 21-year-old native of Elk Grove, CA is the son of former major league slugger Greg Vaughn, and was selected by the Mets in the 4th round of the 2010 June First-Year Player Draft, out of San Diego State University (CA), where he played for head coach, and Hall of Famer, Tony Gwynn. 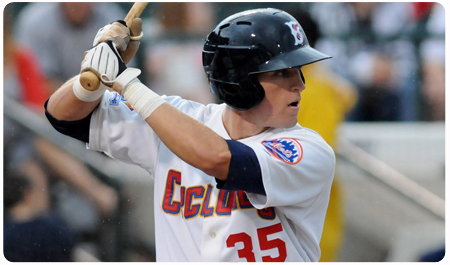 The Brooklyn Cyclones (35-17) dropped the first game against the Auburn Doubledays (20-31) by the score of 3-4. Auburn pulled out a victory with a home run in the seventh inning with the score tied. The loss was only Brooklyn's fourth in its past 15 games, and drops the Cyclones to eight games above the Hudson Valley Renegades for first place in the McNamara Division. 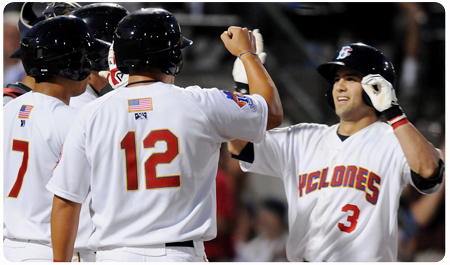 LF Will Cherry (pictured, by George Napolitano) drove the Cyclones offense, going 2-for-4 with two runs scored. RF Cory Vaughn added two hits and his 10th stolen base. SS Luis Nieves returned from injury and contributed an RBI ground-out in the fifth inning. LHP Chris Hilliard was solid in his startade a quality start, surrendering three earned runs over six innings pitched and was awarded the no-decision. Flamethrower Daniel Carela was given the loss after allowing the go-ahead run in the seventh inning. The Cyclones pitching staff has excelled over the past week, posting a 1.64 ERA over 66 innings. The Cyclones continue their road trip leading into the the New York-Penn League All-Star break, which begins on August 16th. 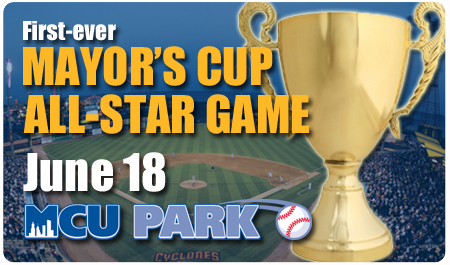 Brooklyn will have eight All-Star representatives as well as the entire Cyclones coaching staff. 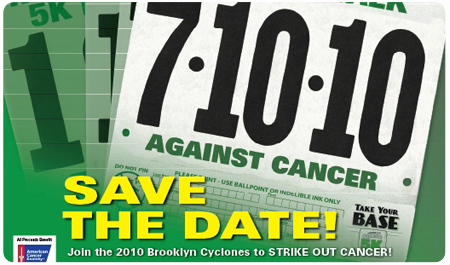 The Cyclones return home on August 18th to take on the Staten Island Yankees. 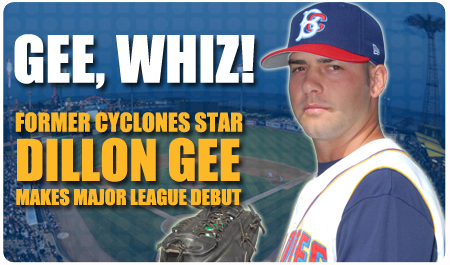 That night, the first 2,500 fans will receive a Cyclones Umbrella presented by Geico. Wednesday will be Civil Servant Appreciation Night for the NYPD presented by MCU. The Brooklyn Cyclones (34-15) came back from a 2-0 deficit to defeat the Connecticut Tigers (26-23) by a score of 3-2 in extra-innings on Saturday night. 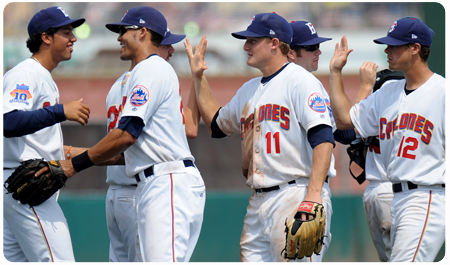 The Cyclones are now 34-15 on the year, and 21-4 at MCU Park. The win is the second straight 11th-inning walk-off win for Brooklyn, which improves to 3-1 in extra-inning games this season and 47-39 all-time. After the offense was held scoreless through six innings, 3B Brian Harrison (pictured, by George Napolitano) put Brooklyn on the board with his sixth home run of the season -- a booming shot off the top of the scoreboard in the seventh inning. LF Will Cherry continued the magic in the bottom of the ninth with a game-tying solo shot to left field. In the bottom of the 11th inning, Harrison scored the winning run from second base when J.B. Brown's sacrifice bunt attempt was thrown into right field. 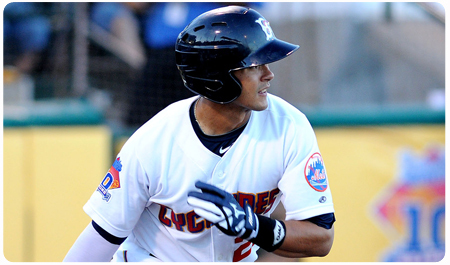 C Juan Centeno went 3-for-4 and is now batting .591 at MCU Park this season. RHP A.J. 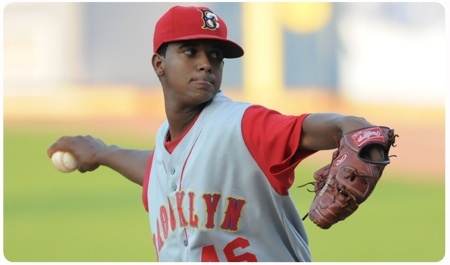 Pinera started for Brooklyn and threw five shutout innings, allowing six hits while striking out six. 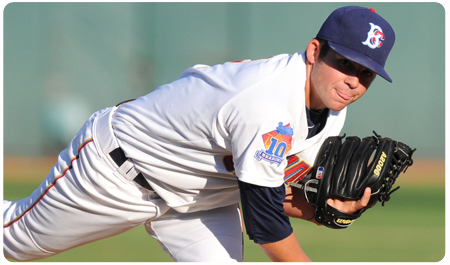 Pinera owns a 1.86 ERA over his past six games since joining the rotation on July 12th. LHP Hamilton Bennett pitched the fifth and sixth innings, surrendering two unearned runs as a result of a couple of costly fielding errors by Brooklyn. RHP Brian Needham threw a scoreless eighth inning to hold the deficit to one run. RHP Daniel Carela entered in the ninth inning and held the Tigers to one hit while striking out four over two scoreless innings. Closer Ryan Fraser earned his second win with a perfect 11th inning. Fraser has an 0.41 ERA this season, and has allowed just eight hits in 22.0 innings. The Cyclones face off against the Tigers again on Sunday evening for the second game of the series at 5 pm. The first 2,500 fans in attendance will receive an MCU Park model presented by MCU. That evening is also Sunday Funday, where fans are welcome to play catch on the field prior to the game, and kids can run the bases after the game. 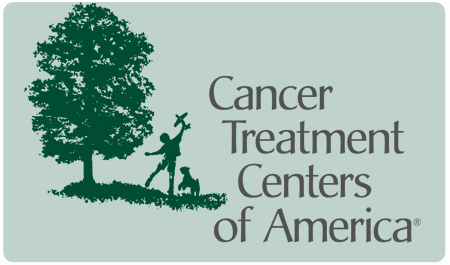 Make sure to visit the interns' silent auction, benefiting Reaching-Out Community Services. 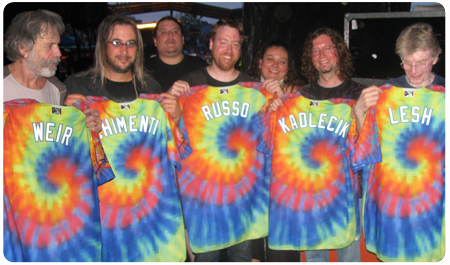 A variety of autographed items and special-activity packages will be available. There will also be an arts and crafts table, featuring make-your-own-banner and paint- your-own-bobblehead stations. 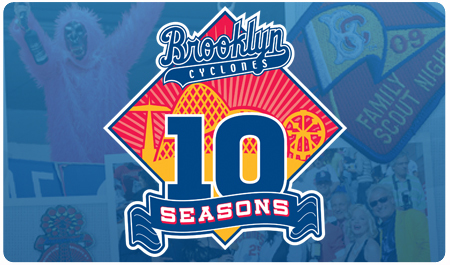 In the Cyclones' historic tenth season, the player wearing uniform number 10 is on his way to rewriting the franchise's -- and perhaps the league's -- record books. Centerfielder Darrell Ceciliani -- barely 20 years old (born on June 22, 1990) -- is having one of the most impressive seasons in the Cyclones' decade-long history. 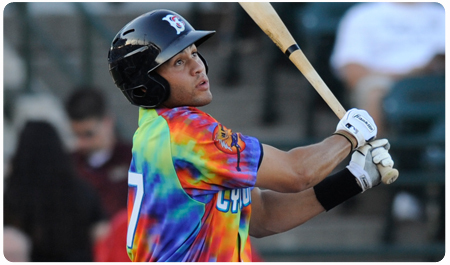 Entering play on August 2nd, Ceciliani is leading the New York-Penn League with an eye-popping .391 batting average (66-for-169) in 43 games from the number two hole in the Cyclones lineup. No player in the NYPL has hit .400 since Jack Maloof did so for Auburn in 1971...19 years before Ceciliani was even born. 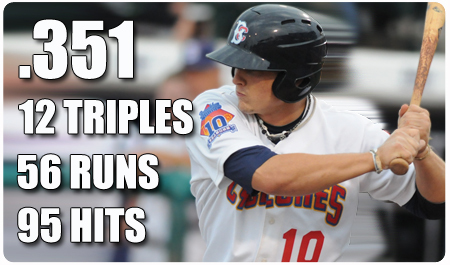 Ceciliani also leads the league in games (43), hits (66), at bats (169), triples (9), total bases (95), and runs scored (38). He is second in on-base percentage (.444), third in extra-base hits (20), tied for third in stolen bases (15), and fourth in slugging percentage (.562). In addition, the Madras, Oregon native has played spectacular defense, patrolling MCU Park's vast centerfield (the deepest in the league, at 412 feet) with speed, agility, and fearlessness. He routinely cuts off sinking liners from falling in front of him, races gap to gap like a thouroughbred to eliminate extra-base hits, and has made run-saving -- and game-saving -- over-the-shoulder catches and sliding catches on the warning track, as well. 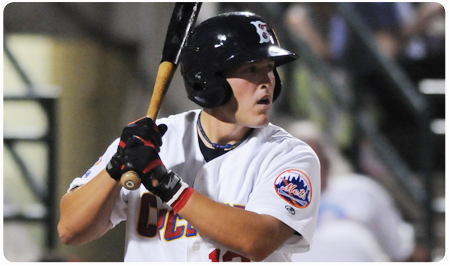 Ceciliani was selected by the Mets in the fourth round of the 2009 June First-Year Player Draft, out of Columbia Basin Community College (OR). He hit .234 (37-for-158) in his professional debut with rookie-league Kingsport, but has blossomed in his second pro season, thanks in part to the tutelage of Cyclones manager Wally Backman -- an Oregon native and former successful number two hitter, himself. Backman loves what he sees from Ceciliani. "He's just a baby. He's the youngest guy we have, and he's still learning the finer points of the game, but Darrell has the tools, the makeup, the mindset, and the work ethic to go far in this game," says Backman. "Among other things, we made it a point to talk to Darrell about using his speed this year to start dropping down some bunt base hits. As the number two hitter, he can also use that to move runners over when he has to. He's already got about 10 bunt base hits this year, and it's become just another weapon in his arsenal. It shows you how he can adjust parts of his game, pick up new things, and make them work on the field. He's a special player." For his part, Ceciliani isn't thinking about records...he's thinking about a ring. "If I wind up breaking any records, that would be cool, but I'm not focused on that at all. I'm trying to get better every day, hit the ball hard every at bat, get on base as much as I can, and help the team win as many games as we can." So far, he's doing just that. 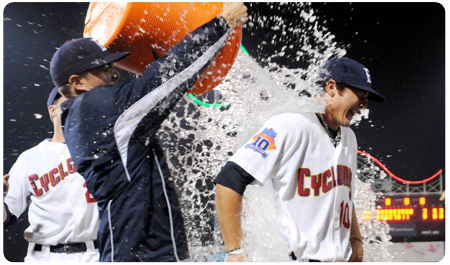 With Ceciliani as the catalyst in the Cyclones offense, Brooklyn leads all teams with 30 wins and a .698 winning percentage in 43 games. 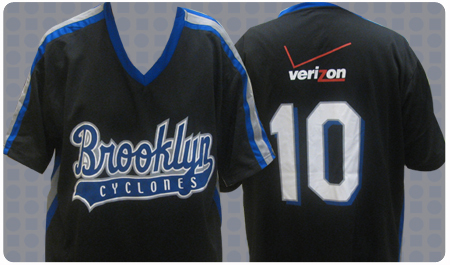 In the Cyclones tenth season, number 10 has Brooklyn poised at a run for ring number two. 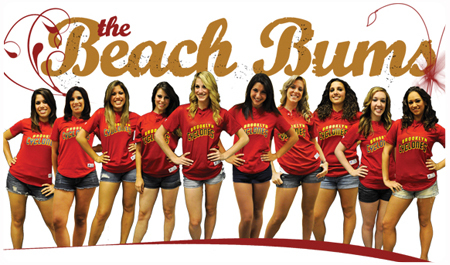 On July 31st, you can learn all the right moves from the Beach Bums themselves at the 2010 Beach Bum Dance Clinic! Learn Beach Bum choreography from our very own dancers! Receive tips from the Bums for future competitions! Junior Beach Bums will get to perform a routine before that night's 6pm game! Please pre-register by July 16th. Previous dance experience is not required. Please arrive in appropriate dance attire. For more information or to register, call Alexa at 718-382-2620. Cory Vaughn's ninth-inning hit hit sealed a 4-3 victory over the Lowell Spinners on Thursday afternoon at MCU Park, propelling the Cyclones to their first walk-off win of the season, and giving the team a three-game sweep of the Spinners. Brooklyn has now won nine straight home games, is 15-2 at MCU Park this season, and sits in first place in the McNamara Division with a 23-11 overall record. The Cyclones struggled to score before the ninth inning, leaving nine men on base, but CF Darrell Ceciliani doubled to left-centerfield with one out to start a last-inning rally. One batter later, Vaughn singled to right field and Ceciliani raced around third base with the winning run. 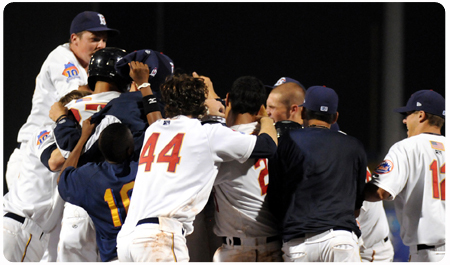 Ceciliani actually fell down between third base and home plate during the play, but scrambled to his feet and slid headfirst into home plate to give Brooklyh the walk-off win (pictured, by George Napolitano). Vaughn finished the game 4-for-5 with a double and two RBI and Ceciliani notched two doubles and scored three runs. RHP A.J. Pinera allowed three runs on four hits in 4.0 innings, before being relieved by RHP Samuel Taveras, who surrendered three hits in a third of an inning. 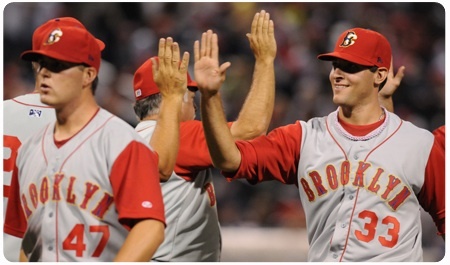 LHP Adam Kolarek then relieved Taveras and allowed just one hit over 1.2 scoreless innings. LHP Wes Wrenn preserved a 3-3 tie by retiring six straight batters over the seventh and eighth innings. RHP Johan Figuereo worked in and out of trouble in the top of the ninth inning, inducing an inning-ending double-play with the bases loaded to earn his third win of the year. 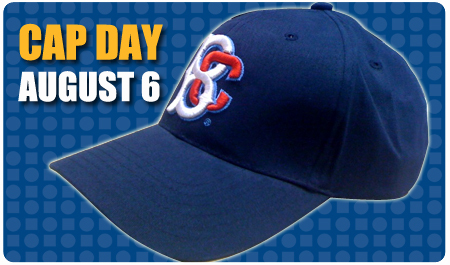 The Cyclones return to MCU Park on Friday, as they take on the rival Staten Island Yankees on FDNY Night. The team will be wearing special FDNY-themed jerseys which will be auctioned off throughout the game, and the first 2,500 fans in attendance will receive a Fireman Sandy bobblehead. In addition, a spectacular fireworks show will follow Friday night's game. 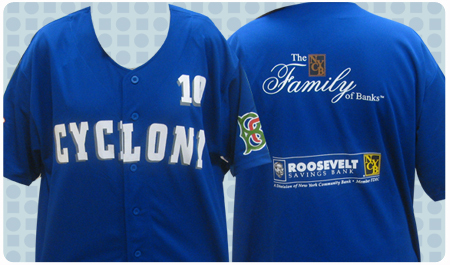 The Cyclones' 2010 FDNY Night just got even hotter! 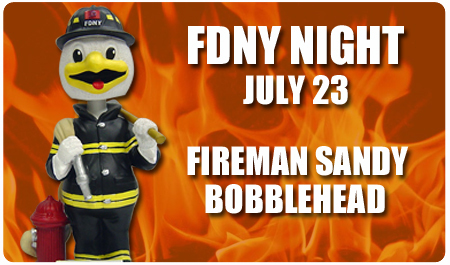 On July 23rd, fans will receive Fireman Sandy bobbleheads, with the Brooklyn bird in full FDNY gear. 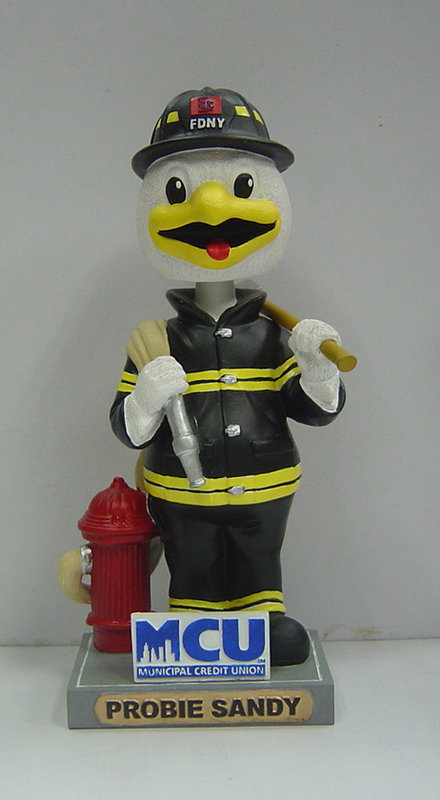 The high-demand collector's item stands 7" tall, and features the Cyclones mascot in a black and yellow firefighter uniform, with a helmet and axe, ready for action. Sandy is also toting a hose that is connected to a fire hydrant! Since he's a rookie in the department this year, Sandy is designated as a "probie," but he plans on making his way all the way up the ranks! 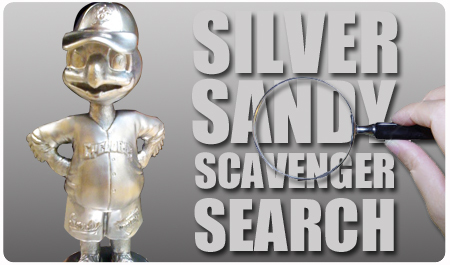 The Fireman Sandy bobblehead, presented by MCU, will be given to the first 2,500 fans in attendance on Friday, July 23rd. 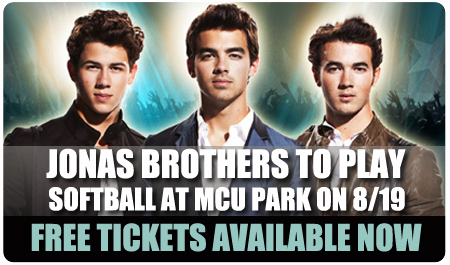 First pitch is scheduled for 7pm, with the MCU Park gates opening at 5:30pm. 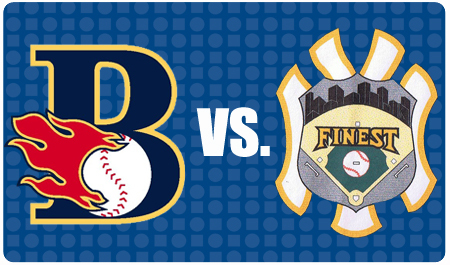 FDNY Night is sure to be one of the most popular games of the year. 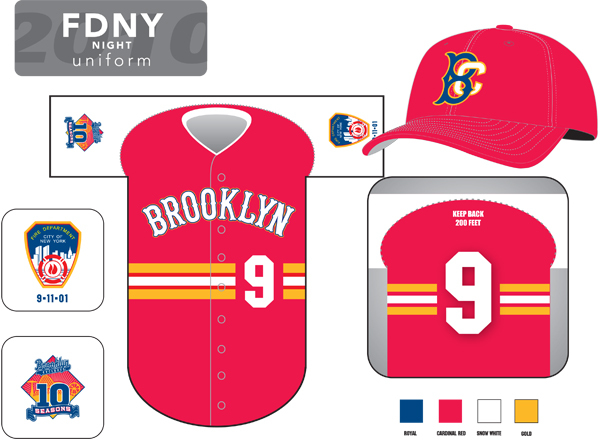 In addition to the bobblehead, the team will be wearing special FDNY-themed jerseys that night, which will be auctioned off throughout the game. The Cyclones will take on the rival Staten Island Yankees, and as with every Friday night home game, there will also be a fireworks show! Yo, Brooklyn, we have a situation. 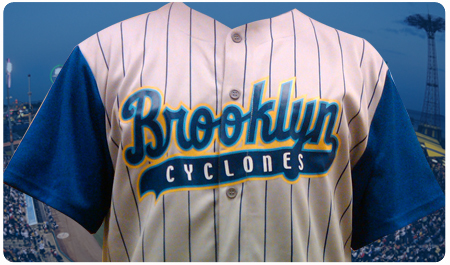 On Wednesday, July 21, the Brooklyn Cyclones will be hosting "Jersey? Sure!" 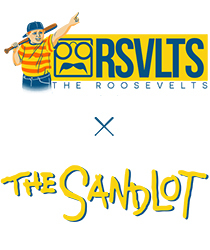 Night – paying homage to a pop-culture phenomenon and giving away limited-edition collectible jerseys. 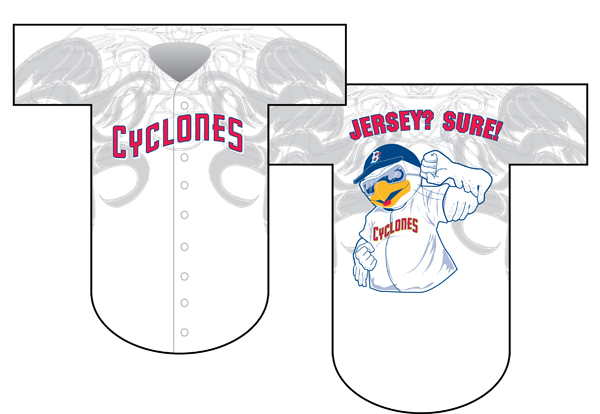 The high-quality mesh jersey will feature the Cyclones logo on the front and a picture of the team’s mascot, Sandy the Seagull, in a fist-pumping pose on the back, with the words “Jersey? Sure!” at the top. 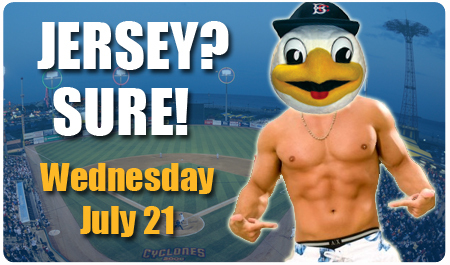 The first 2,500 fans in attendance on July 21st will receive a jersey. Dugout Dance Battles – Contestants will “battle” to techno beats on top of the dugouts between innings for a chance to win prizes (and fame). Baseball Blowouts – A special station on the ballpark’s concourse level will allow fans to have their hair styled like a good fastball – high and hard. Stylists from a local salon will be on hand to give the hair-raising transformations a professional touch. On Friday, August 20th, some of wrestling's most legendary names will be in action as FCW comes to MCU Park! 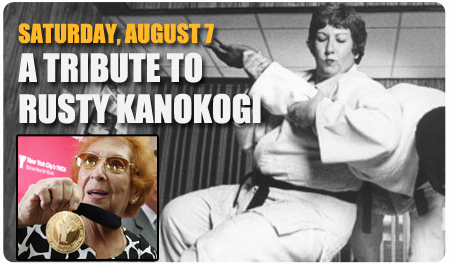 The event kicks off with a 5pm Wrestling Convention, followed by a live show at 7pm. Tickets are priced at $20. 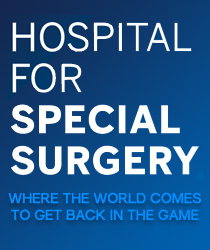 Partial proceeds will be donated to the Wounded Warriors Project & Wheelchair Sports Federation. All military veterans and active duty members receive FREE ADMISSION! Wounded Warriors will be in attendance as FCW guests. Stay in your seats for a spectacular fireworks display after the show! Get your FCW tickets now! Get your August 20th FCW tickets now! The mission of Wounded Warrior Project is to honor and empower wounded warriors. Wounded Warrior Project is designed to raise awareness and enlist the public’s aid for the needs of severely injured service men and women, help severely injured service members aid and assist each other, and provide unique, direct programs and services to meet the needs of severely injured service members. 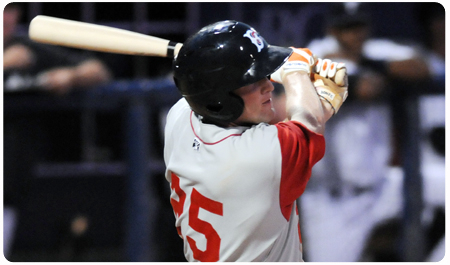 Brooklyn's four-game winning streak was snapped with a one-run loss on Monday, falling to Lowell by a score of 3-2. The loss drops Brooklyn to 14-10 on the season -- still just a half-game out of first place in the McNamara Division. Brooklyn was only able to score two runs, despite notching 11 hits. The Cyclones were unable to get the clutch hits they needed on Monday, leaving eight runners on base, and going 2-for-10 with runners in scoring position. 2B J.B. Brown went 2-for-4 and started the ninth inning with a single to centerfield. Two batters later, C Taylor Freeman -- who went 1-for-4 with one RBI -- hit a one-out single to right field, but the Cyclones' rally ended there. 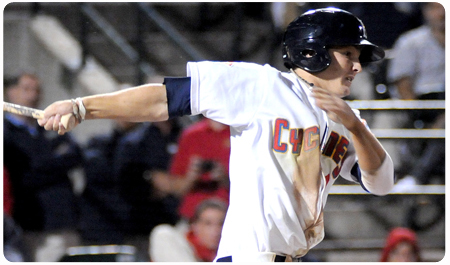 3B Joe Bonfe went 3-for-4 and scored the other Cyclones run on a wild pitch in the seventh inning. Bonfe (pictured, by George Napolitano) is now hitting .342 on the season. SS Rylan Sandoval and CF Darrell Ceciliani added two hits apiece while DH Brian Harrison and LF Kurt Steinhauer checked in with one hit each. RHP A.J. Pinera got his first start of the season, and allowed just one hit and one walk over four scoreless innings of work. RHP Nick Carr came on in the fifth inning to pitch one hitless frame, with one strikeout. RHP Jonathan Kountis took the mound in the sixth inning and was saddled with the loss, surrendering three runs on three hits with three walks and three strikeouts. RHP Samuel Taveras came on to pitch a scoreless eighth inning with one strikeout to keep the Cyclones within one going into the ninth. 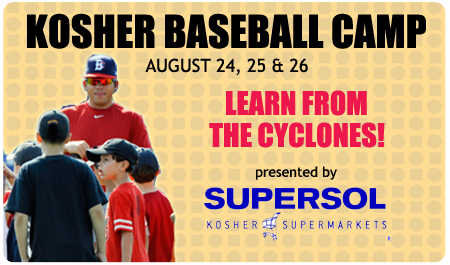 The Cyclones return to MCU Park on Wednesday, July 14th to take on the Mahoning Valley Scrappers at 7pm. 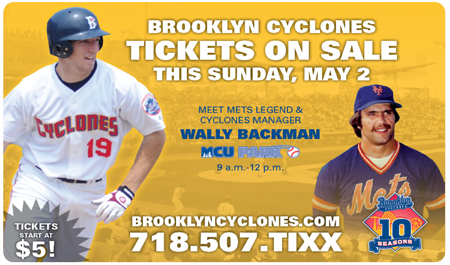 That night, the first 2,500 fans in attendance will receive a Wally Backman: Then & Now bobblehead, featuring Wally as a 1986 Mets second baseman, and also as the Cyclones' manager. 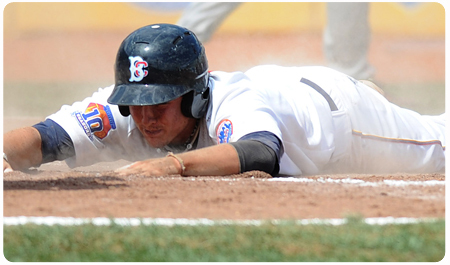 The Cyclones lost the rubber game of the series to the Jamestown Jammers by a score of 7-5 on Tuesday night. 1B Jeff Flagg lead off the second inning with a double and later scored the first run of the game on LF Will Cherry’s sacrifice fly. 3B Joe Bonfe (pictured, by George Napolitano) later belted his first home run of the season in the seventh inning, going 2-for-3 on the night. 2B J.B. Brown continued to hit well of late, going 2-for-2. James Schroeder, who pinch hit for Brown in the seventh inning also notched his first home run of the season in the ninth inning, but it was not enough for the Cyclones. CF Darrel Ceciliani also recorded a hit on the night, going 1-for-3 with a double. 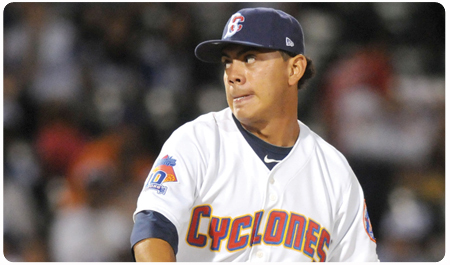 The Cyclones sent four pitchers to the mound on Tuesday night. Starting pitcher Wes Wrenn went three innings and surrendered four runs (three earned) on eight hits. Nelson Pereira pitched the fourth inning, and gave up another three runs on three hits. A.J. Pinera threw three solid scoreless innings, allowing just one hit, and Pedro P. Martinez also quieted the Jamestown bats throwing one inning of no-hit ball. 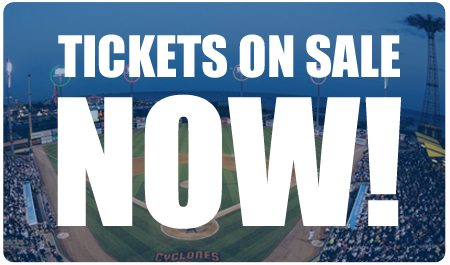 The Cyclones return home to MCU Park on Thursday, July 8th to take on the State College Spikes at 7pm in the first of a three- game homestand. 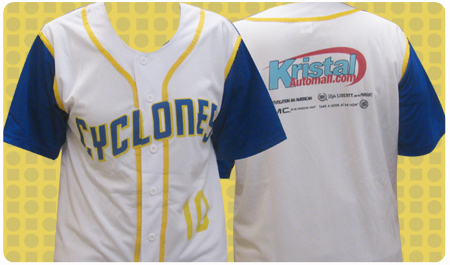 The first 2,500 fans in attendance on Thursday will receive a "Cyclones '86 Backman" Jersey, presented by WFAN Radio. 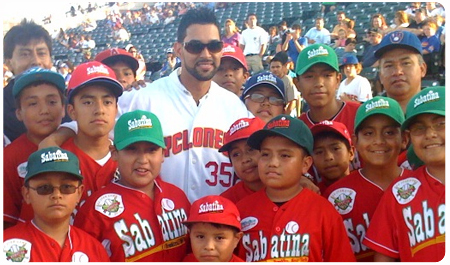 Thursday is also Latino Fest, presented by El Diario, and former Cyclones star (and current New York Met) Angel Pagan will return to the ballpark for a special ceremony. 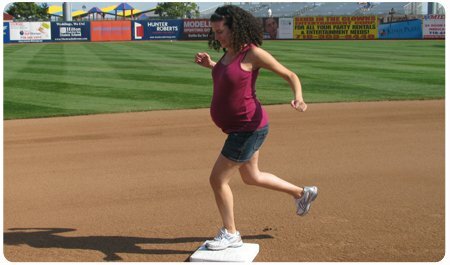 On Thursday, everyone in attendance also gets to run the bases after the game. 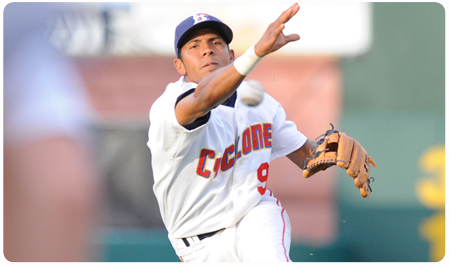 The Cyclones are proud to announce the launch of Cyclones Beisbol -- a spanish-language page of the team's website. 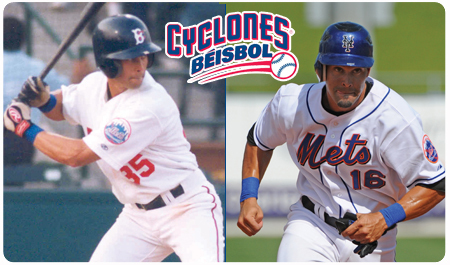 In conjunction with the announcement, the Cyclones are also hosting a Latino Fest on July 8th, and one of the team's most popular and successful players -- Mets centerfielder Angel Pagan -- will return to the ballpark for a special ceremony and to meet with fans. In addition to the appearance by Pagan, the July 8th Latino Fest will feature Salsa dancing lessons on the ballpark's concourse level, a mariachi band, and an entire inning announced in Spanish. In addition, for the first time ever, the Cyclones game will be broadcast in Spanish on WQBU 92.7 FM. Latino Fest is sponsored by El Diario, Health Plus, The Brooklyn Borough President's Office, Viva Salsa Dance Studio, Boricua Festival, and Tapatio Mariachi. 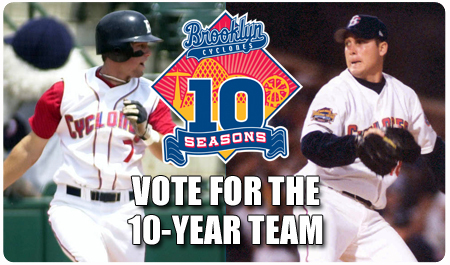 Pagan was an All-Star star centerfielder for the Cyclones in 2001, the team's inaugural season. He led off for the '01 Brooklyn club, and led them to a championship with a .315 batting average (75-for-238), 10 doubles, two triples, 15 RBI, and a team-high 46 runs and franchise-record 30 stolen bases. 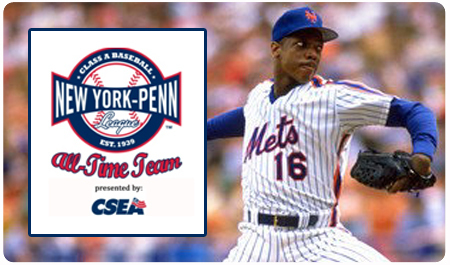 He has since gone on to enjoy a successful major league career, first with the Chicago Cubs, and now with the New York Mets. 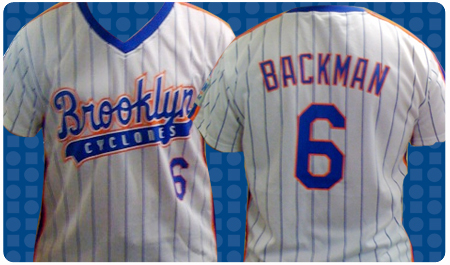 The first 2,500 fans in attendance on July 8th will also receive a free 1986-styled Wally Backman Jersey, presented by WFAN Sports Radio 66, as part of the Cyclones' Jersday Thursday series. The 2010 MLB Draft is imminent, and the Mets have a top-10 pick for the first time since 2005. In the summer of ‘05, the Amazins held the ninth overall pick, and had their eyes on a tall right-hander out of Wichita State University. Mike Pelfrey now leads the team in Wins and ERA, and the Mets will look to find another impact player with the seventh overall pick this year. 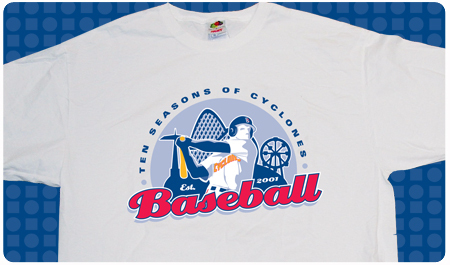 The draft will have a significant impact on the Cyclones roster this year and the Mets roster of the future. 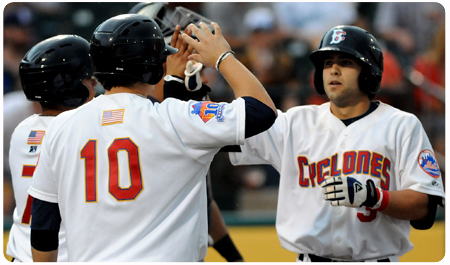 Sixteen players from the 2009 draft wore a Cyclones jersey last season, including hard-hitting outfielder Nick Santomauro, who led the team in home runs and slugging percentage. After their first-round choice, the Mets do not pick again until the 89th overall draft choice, after trading their second round pick for the rights to sign Jason Bay. New York has had recent success in the first-round with Ike Davis, who the Mets drafted out of Arizona State University with the 18th overall pick in 2008. 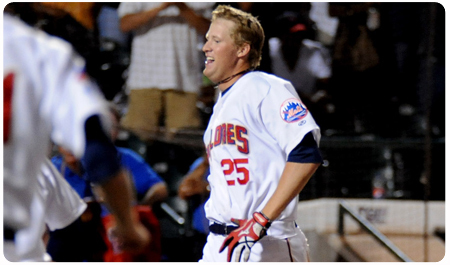 Davis played his first professional season with the Brooklyn Cyclones that year, and less than two years later is the Mets’ starting first baseman. 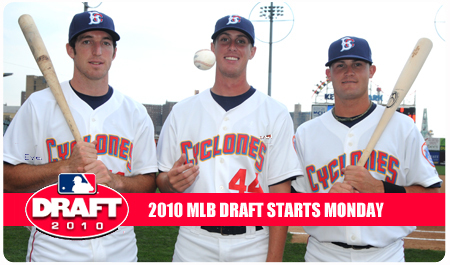 Witness the Cyclones’ present and the Mets’ future at the 2010 MLB draft on June 7-9, starting at 7 p.m. 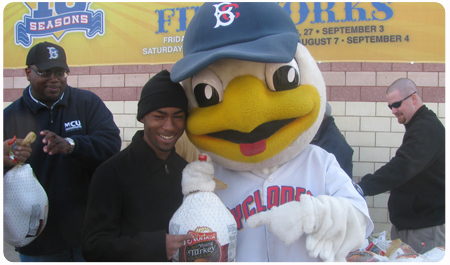 The Brooklyn Cyclones will be hosting auditions for the National Anthem on Wednesday May 19th at 6:00pm at the Kings Plaza Mall. Singers will be required to perform a capella before a panel of judges. 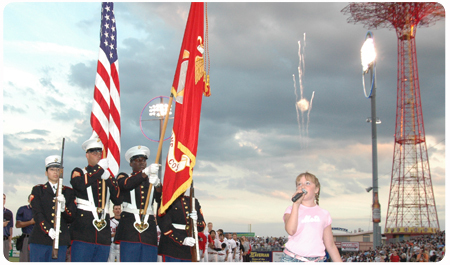 The performers chosen will have the opportunity to sing the Star Spangled Banner at one of the Cyclones home games, before one of the largest crowds in minor league baseball. Auditions will begin at 6pm and end at 8pm. There is no pre-registration necessary. Singers can simply sign up on May 19th, at the audition. 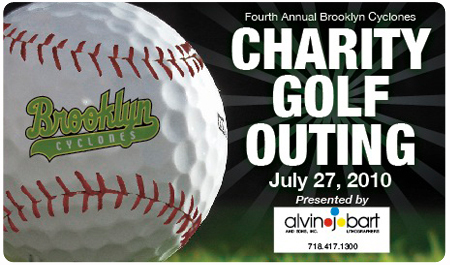 For more information please contact Alexa at alexa@brooklyncyclones.com or 718.382.2620. We understand. Not everyone can make it to every Cyclones game. With that in mind, we’ve created a series of Mini Plans designed to maximize fun, flexibility, and affordability. 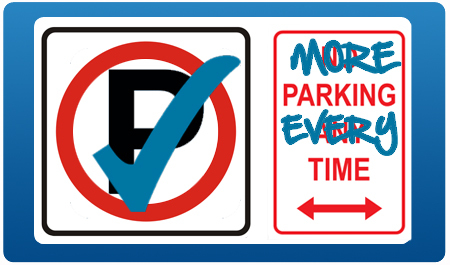 Best of all, Mini Plans are still big on benefits and perks. 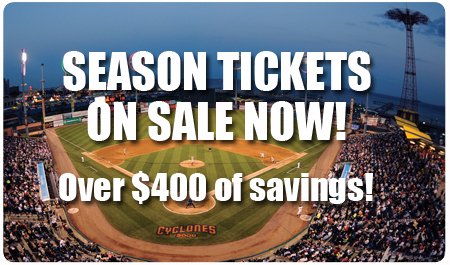 In fact, every Mini Plan this year comes with FREE FOOD at each game in the plan and a FREE CYCLONES CAP with each plan -- for just $16 per game! The OPENING DAY plan features one of the most high-demand games of the year -- the first home game of the season, against the rival Yankees, with fireworks from inside the ballpark after the game! The SKYROCKET plan includes four fireworks games -- two Friday nights, and two Saturday nights! 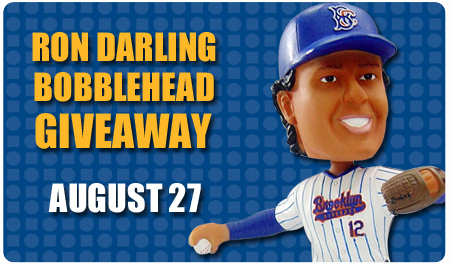 It also includes the Ron Darling Bobblehead giveaway night on Friday, August 27! The FIREWORKS plan includes three fireworks games -- two Friday nights and one saturday night! 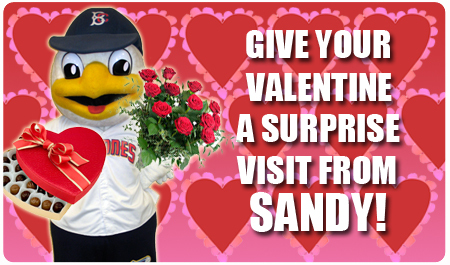 It also includes the Fireman Sandy Bobblehead giveaway night on Friday, July 23! 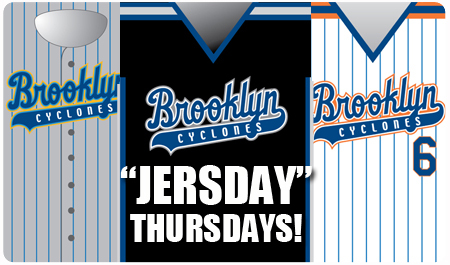 The JERSDAY plan includes three Thursday games, each featuring a different replica jersey giveaway, including the 2001 Road Replica! 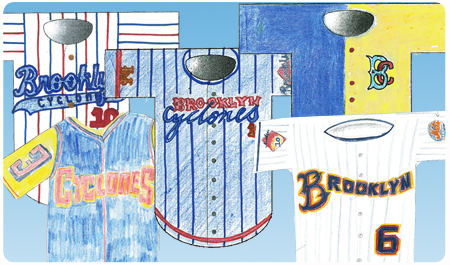 The SHIRT ON YOUR BACKMAN plan includes three Thursday games, each featuring a different replica jersey giveaway, including the '86 Wally Backman jersey! The WEEKEND plan features one Friday game (with fireworks), two Saturday games (with fireworks), and two Sunday games (kids run the bases after the game)! 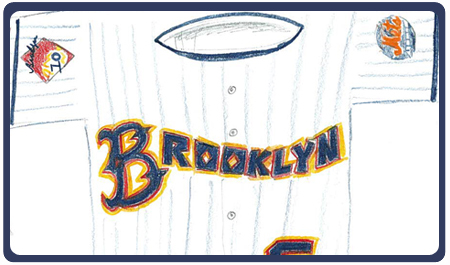 The BATTLE OF THE BRIDGE plan features three high-demand games against the rival Staten Island Yankees, and one Jersday game (featuring a Boardwalk Blue jersey)! The FLEX PLAN lets you choose any seven games you'd to attend. The free food and gifts are still yours, and at each game in your 7-game plan, you'll receive the best available seat location. 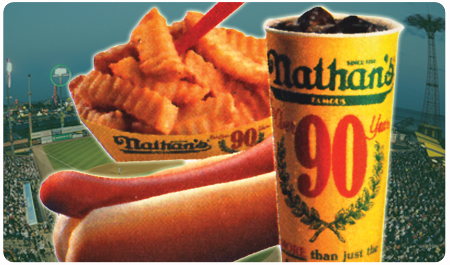 FREE FOOD: a hot dog or hamburger, soft drink, and chips at every game for every seat in your plan! Priority Seating: Select the area in which you want to sit and receive the best seats prior to tickets going on sale to the general public (based on availability). EXCLUSIVE Mini Plan Holder cap giveaway. 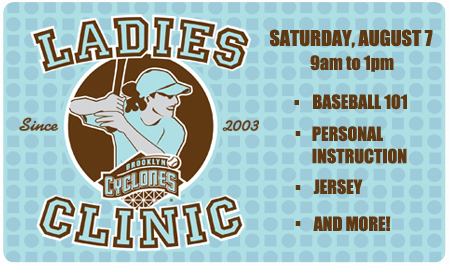 Exclusive Invitation to a Cyclones pre-season practice. 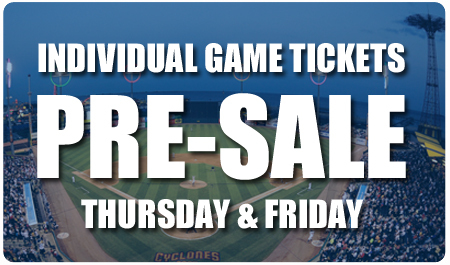 First chance to purchase additional tickets before they go on sale to the general public, including Opening Day and playoffs. Unused Ticket Policy: Any tickets not used for a previously played game may be exchanged for a bleacher ticket to any 2010 Sunday-Thursday home game, based on availability. 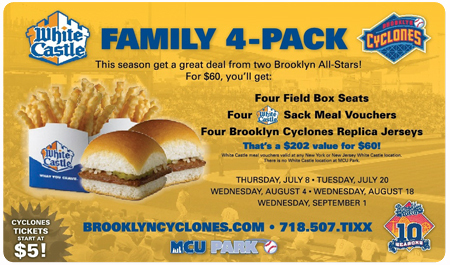 Or, you can exchange your ticket and pay just $5 for a Field Box Seat. This summer, there will be more of the great baseball, thrilling entertainment, and hilarious antics you love at the ballpark. 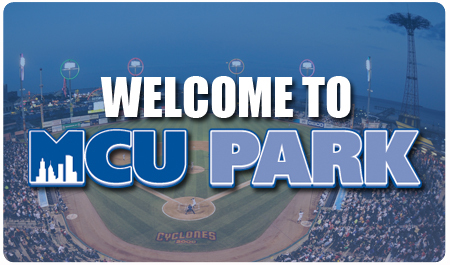 A Mini Plan gives you the freedom to fit all the fun and excitement of Cyclones baseball into your life, and your schedule – and allows you to enjoy the benefits of your loyalty to your team. 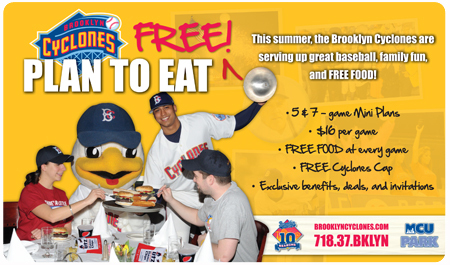 On Sunday, April 25th, from 10am to 2pm, the Brooklyn Cyclones will host an Open House at MCU Park. Any fan interested in Season Tickets, Mini Plans, or Group Tickets is invited to the ballpark for a personal guided tour, and the opportunity to select the exact seat in which they would like to sit. 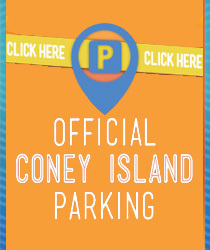 Fans will line up at the MCU Park front gate, and will be escorted to the seating bowl on an individual basis by a member of the Cyclones’ Ticket Office. 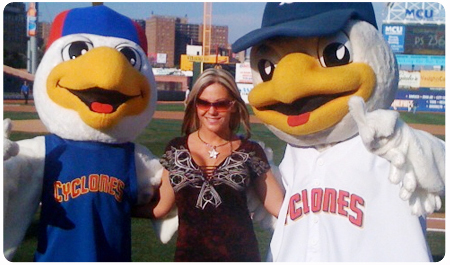 Each Cyclones representative will provide live personal service throughout the entire Open House process. Fans will have the ability to select a seat from among the available inventory, and purchase it on the spot, if they so choose. 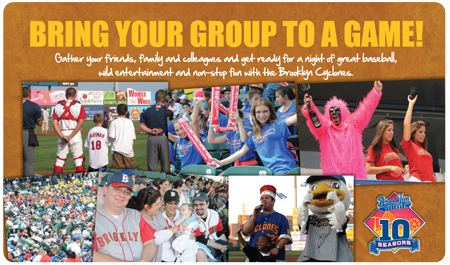 Brooklyn Cyclones Group Tickets start at $4, with every member of the group receiving a giveaway item. 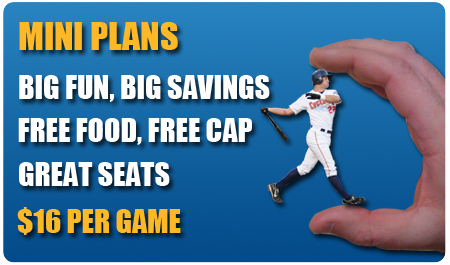 Mini Plans are themed ticket packages that start at $16 a game, and include FREE FOOD at every game, and a FREE Cyclones cap for every seat in the plan. Season Tickets start at $12 a game and include over $400 of savings like free food, free giveaways, free parking, and free playoff tickets. 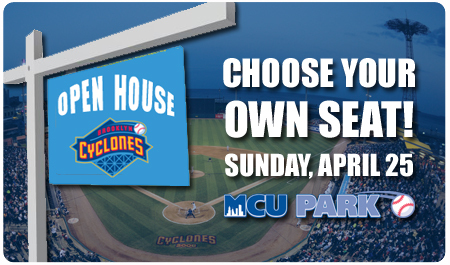 No reservations are necessary to attend the Cyclones’ Open House on April 25th. Fans will be attended to on a first-come, first-serve basis, beginning at 10am. 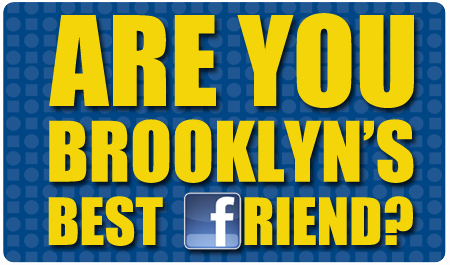 For more information on the Open House, call 718-37-BKLYN. 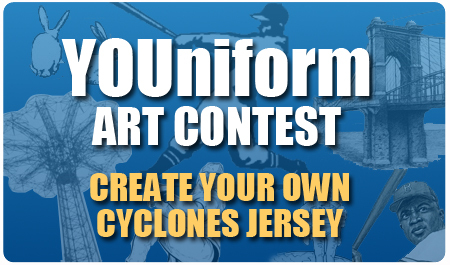 The New York-Penn League, in its 72nd year, is the oldest continually operated Class A league in Minor League Baseball and this year fans will have the chance to help select the league’s All-Time Team. 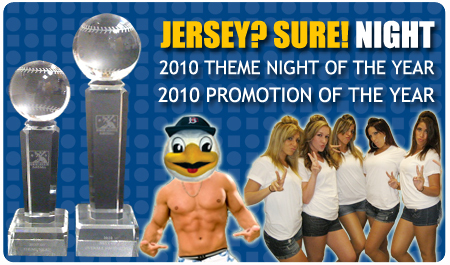 The New York-Penn League All-Time Team will be chosen by fan voting online at www.VoteNYPL.com through August 1, 2010. In addition to choosing players at each position, fans will also have a voice in picking a manager of the team. More information can be found at www.newyork-pennleague.com. The NYPL All-Time Team will be unveiled at the league’s All-Star game in Staten Island on August 17. On Monday, former Cyclone Ike Davis made his major-league debut with the New York Mets, and went 2-for-4 with an RBI in a win over the Chicago Cubs. 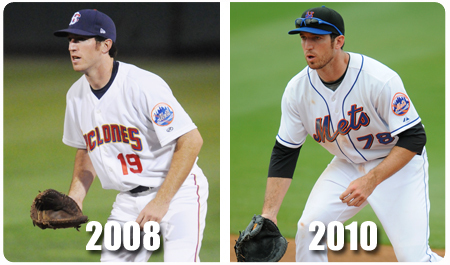 Davis, the Mets' 2008 first-round pick, began his pro career in Brooklyn, and becomes the 25th Cyclones alum to make it to the major leagues. Davis, 23, was batting .364 with two homers and three doubles in 33 at-bats for Buffalo (AAA) before getting the call. He made a splash with the Mets this Spring, hitting .480 (12-for-25) with seven runs, three doubles, three home runs, and 10 RBI in 12 games. 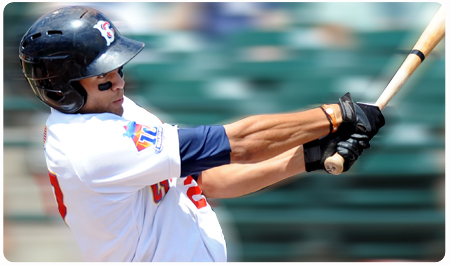 In 2009, the left-handed swinging slugger hit .298 with 20 homers and 31 doubles while playing for St. Lucie (A) and Binghamton (AA). He then hit .341 over 21 games against some of baseball's top prospects in the Arizona Fall League. 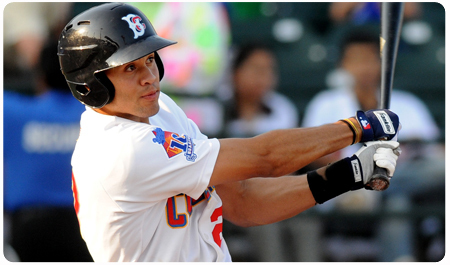 Davis made his professional debut in 2008 with Brooklyn, and made his mark immediately, doubling in his first at-bat and hitting in 15 straight games for the Cyclones to start his pro career. Davis finished the '08 season hitting .256 (55-for-215) in 58 games. Ike is the son of Ron Davis, who pitched in the major leagues for 11 season, playing for the Yankees, Twins, Cubs, Dodgers, and Giants. Ron Davis was an All-Star in 1981. 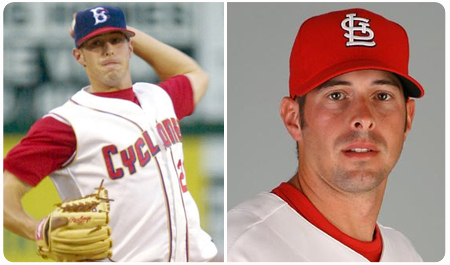 Including Davis, 25 total players have played for the Cyclones and gone on to appear in a major league game. The catcher threw out a whopping 31 of 69 would-be basestealers (.450) to make his mark on Cyclones history. 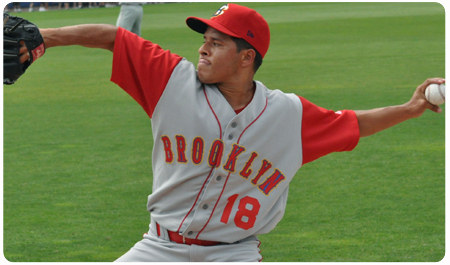 Midway through the 2007 season, Butera and fellow former Cyclone, Dustin Martin, were traded by New York to Minnesota, in exchange for second baseman Luis Castillo. 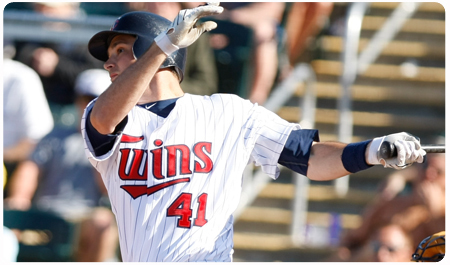 Butera was named to the Twins' 2010 Opening Day roster, serving as the team's back-up catcher, behind 2009 Americal League MVP Joe Mauer. Drew's father, Sal, was also a major league catcher, playing for the Twins, Blue Jays, Reds and Expos over a nine-year MLB career. 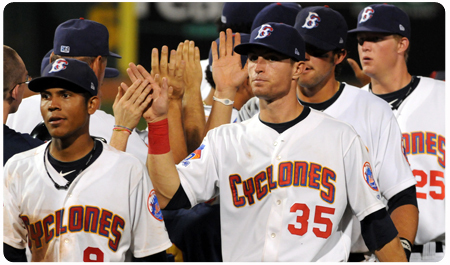 Including Butera, 24 total players have played for the Cyclones and gone on to appear in a major league game. 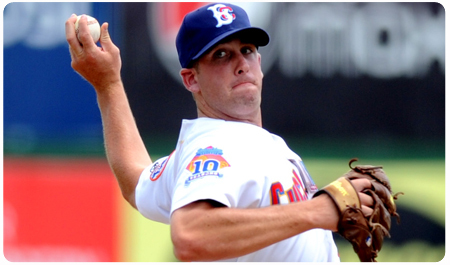 Seven former Cyclones are currently on a major league active roster: Brian Bannister (Royals) Butera, Mike Jacobs (Mets), Matt Lindstrom (Astros), Jenrry Mejia (Mets), Angel Pagan (Mets), and Joe Smith (Indians).